Share Brent Lovelady, Singer/Songwriter's EPK! These guys play a wide range of music, are very talented, and clearly enjoy what they’re doing. 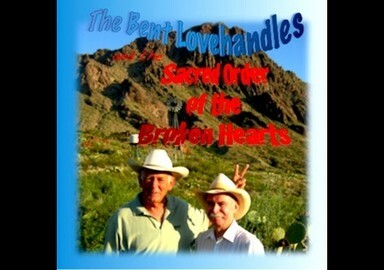 … Their first CD, “Sacred Order of the Broken Hearts,” released at the end of last month, ... is good music for driving around West Texas, alright. And just as their live performances sample a fairly wide array of music, so does the album. Yet for Sacred Order, the duo focused entirely on original songs by Lovelady. “Your New Tattoo” is an instant classic, and funny. Reminds me a bit of a Randy Newman. … “After a Fall,” the CD’s first track, is a clever country song that drew me in and keeps playing in my head; “Tiny Texas Town” was described by one listener as “Big Bend meets Big Mamou,” for its Cajun sound; “Pray for Me” is a slow, haunting ballad of a contemporary soldier; and “Wilbur’s Secret Life” is a ragtime number showcasing Rich’s nimbleness on the piano. All I’ve really ever wanted to do was write good songs, hang with a kind woman, and live where I was hard to find. It’s simple stuff like that for me. I can’t remember a time in my life when I haven’t written. Words, melodies and rhythms are magic to me. I don’t know if the world needs another songwriter but I know I need to write songs. 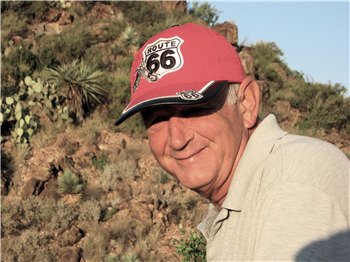 I grew up in Weatherford Texas, spent some time in the oilfields of Oklahoma, ruined a couple of good women along the way, ended up meeting the love of my life in Cairo, Egypt, and was a staff writer for a small publishing company on Music Row in Nashville Tennessee. I learned a lot in Nashville. With the exception of Diane Warren I believe the best songwriters in the world live in Nashville but alas I didn’t like the pace or the noise. I’m off the grid now, tucked away in the desert near Terlingua, Texas where sitting on the porch and playing guitar are the norm. Sometimes less is more. He brings her coffee in her favorite cup. Cleans up the mess he made. And they’ve both shed some tears. But they finally got it straight. You couldn’t want much more than that. Ought’a try to put our troubles in the past. Try to build on what we’ve got and make it last. She still listens to his big old plans. But he don’t really care. He’s just glad she’s there. There’s a needle in her arm, soon she’ll feel no pain. One cc of paradise, rushin’ through her veins. Hollow eyes, like a war-torn soldier. 90 miles an hour, down a dead end road. Signpost up ahead: To the place of no return. There’s an empty whiskey bottle, broken on the floor. But the thirst is too damn strong, so he finds the nearest bar. Another pint of Jack Daniels, then he drives home in his car. She’s a mother and a wife, with a marriage on the rocks. So she takes a little blue pill, and soon the pressure stops. There’s a handful of uppers that speeds her on her way. Ten cc’s of paradise, rushin’ through her veins. Well did you find, that picture in a book? Do you mind, if I take a closer look? And does it hurt, when you sit down? Get out of here, before I cry. Then I won’t hold you back. And I’ll get over you, baby. Head on south into Mexico. I won’t hold you back. My name is Private Johnson, I’m a soldier in this war. I’m here to fight for freedom, with a rifle and a sword. But you wouldn’t believe the awful things I’ve seen. Or a mother who has lost her only son. My buddies they’re all sleeping, but I lay here awake. And I wonder, is she still in love with me. And I’m not sure who I am anymore. And I hope to find forgiveness, if God still has a heart. Well I just got new orders, so now I’m headed home. My girlfriend says she misses me, can’t wait till I get back. Well I like the sound of that. And a love like hers may save me from these dreams. Shredded up my picture, man that really hurt. Waa, waa, waa, waa, waa. Guess you haven’t heard, it’s too late for that. She’s in the Army, her hair is brown. You lose and I win. You’re out and she’s in. I got a girl-, girl-, girl-, girl-, girl-, girl-, girl-, girl-friend. Then you caught him cheating, man that’s really sad. After all the smoke, you’re the one got burned. Listen close and please don't interrupt. But I swear, I didn't make it up. A man named One-Eyed Jack slipped into town. Were out to steal all the mayonnaise jars. And all hell broke loose, the fight was on. And the ugly sons still have all the scars. And Wilbur saved all the mayonnaise jars. Hey, little girl, get your daddy’s car and let’s go south tonight. You can put on your dancing shoes, wear dress that fits too tight. Hey, little girl, call Carol Ann, we’ll pick her up somewhere. I’ll get a hold of Bobby Joe, tell him to meet us there. We’ve been working all week long. We’re gonna party ‘til the cows come home. We don’t care what the old folks say. Hey, little girl, there’s Rhonda Jean, she’s a kickin’ up her heels. Look at those moves, she’s in the groove, I know how she feels. Hey, little girl, when they close us down, let’s drive to the old hot springs. We’ll get George to play guitar, listen to him sing. Come from the outside, do a little backslide, turn it up-side down. And share each other’s pain. ‘Til we all feel better. And talk about raw deals. ‘Til the Power starts to heal.